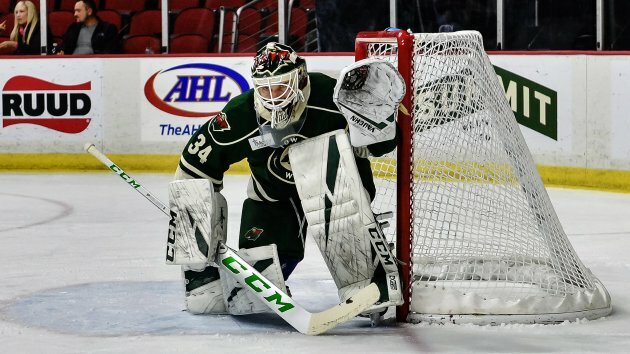 Wild goalie Devan Dubnyk is under the weather and won't play, so the team recalled Iowa's Kaapo Kahkonen on a emergency basis this morning. Alex Stalock is likely to start today's matinee against Winnipeg at Xcel Energy Center. Here's a preview of the game. Kahkonen is 4-1-1 and leads the American Hockey League with a 0.98 goals against average and .966 saves percentage. He has three shutouts as part of a franchise record shutout streak of 222 minutes, 22 seconds that ended earlier this week. The 21-year-old was a gold medalist for the Finnish junior team at the 2016 world championships where he was 4-0. He was a fourth round (109th overall) pick in the 2014 draft.